The high-quality 3G-SDI-DVI-Converter, broadcast professionals can transform SDI to DVI signals hence providing an optimal solution for many broadcast applications, e.g. live broadcastings, post-production, OB vans or studios.. The Converter facilitates system operation and, depending on requirements, converts SD, HD-SDI and 3G SDI signals to single-link DVI signals. Therefore, signals often used in broadcasting can be converted and connected to G&D DVI Matrix Switches or DVI KVM Extenders at any time. This way SDI video sources can be shown at a DVI monitor. The 3G-SDI-to-DVI-Converter from G&D is a reliable high-quality device providing optimised functions and intuitive operation. In addition to the easy operation it offers an audio interface for optimal synchronized video and audio presentation. 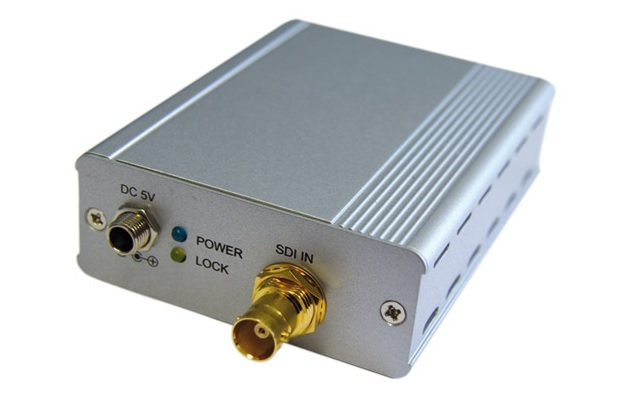 The 3G-SDI-DVI-Converter picks up the video signals of the connected device periphery and converts them to single-link DVI signals.